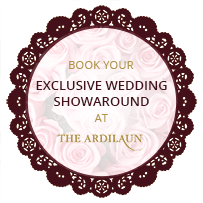 Love is in the air at the popular family-owned Ardilaun Hotel in leafy Taylors Hill as they celebrate Valentine’s week from 9th to 21st February so take time out from your busy schedule and treat yourself or your loved one for some love and romance. Renowned for good food, excellent service and fine wines, the award-winning team at The Ardilaun Hotel are offering 4-course gourmet dinner with a glass of bubbly and sweet treat all for €40 per person. View our Valentine's Menu here. Alternatively, this Valentines if you are looking for the more casual setting, look no further than The Ardilaun Bistro, with comfortable surroundings and cosy atmosphere offering two course and three-course meal options with wine at €21.50 and €26 per person with a FREE glass of bubbly with these offers. For the real romantics, why not try Ardilaun’s signature cocktail of the Amaretto Kiss Cocktail for €9, or the romantic Afternoon Tea for two which is also served daily. Pamper yourself or your loved one to a treatment in the popular Avalon Health and Beauty Salon at The Ardilaun Hotel. Enjoy the atmosphere of luxury and sanctuary with a choice of relaxing, invigorating and indulging treatments with something to suit everyone. 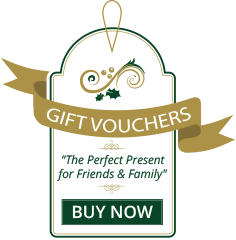 Gift vouchers may be purchased online also or 091 521433 for reservations.